Borough Park is a 30-minute journey from Midtown Manhattan via the F and D trains. It's also served by the 16 and 11 bus lines, for travels around Brooklyn. The neighborhood borders Dyker Heights, Sunset Park and Greenwood. Properties go quickly in this neighborhood, due to their size and quality. Borough Park real estate commonly includes three and four-story homes constructed from sturdy brick. There's a wealth of traditional single-family homes with yards, many of which date back to the early 1900s. These often sit alongside brand new brick multi-story row houses. 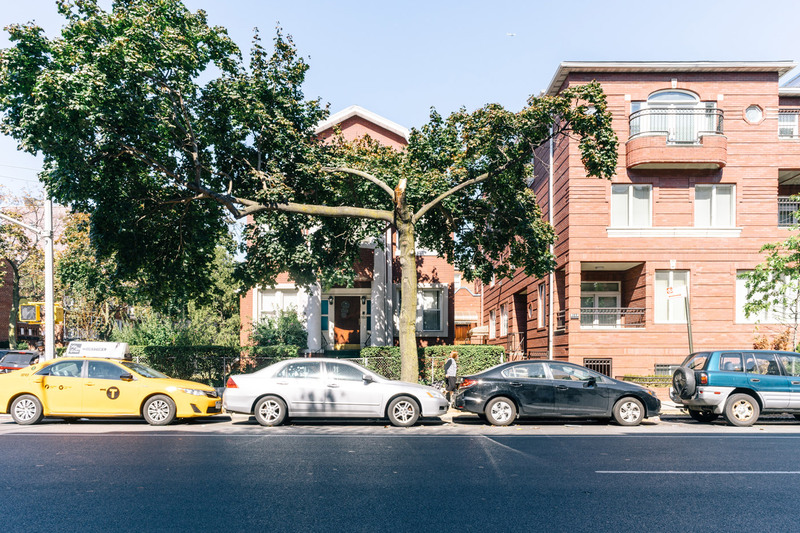 Borough Park apartments are also located in converted commercial buildings. Apartment hunters might find anything from a traditional brick-clad building to a gated community with manicured landscaping. Expect to see hardwood flooring, granite countertops, and stone-tiled bathrooms in the newer buildings. Established in the 1880s, Borough Park's historic roots are still on display in its well-preserved buildings, like the Blythebourne Post Office on 51st Street. Borough Park was one of Brooklyn's original neighborhoods, growing out of colonial New Utrecht. Senator William H. Reynolds founded the community of Borough Park, once known as Blythebourne, in 1902. He purchased a tract of land and divided the area into lots, with an eye towards development. The area's population grew after World War 1 with the arrival of the elevated New Utrecht Avenue train line, now known as the D train. Developers built many of the quaint red brick cottages that remain today. The influx of new residents included a blend of Jewish, Irish, and Italian families. Hasidic Jews displaced from Williamsburg and Crown Heights by the Brooklyn-Queens Expressway construction followed in the late 1950s. 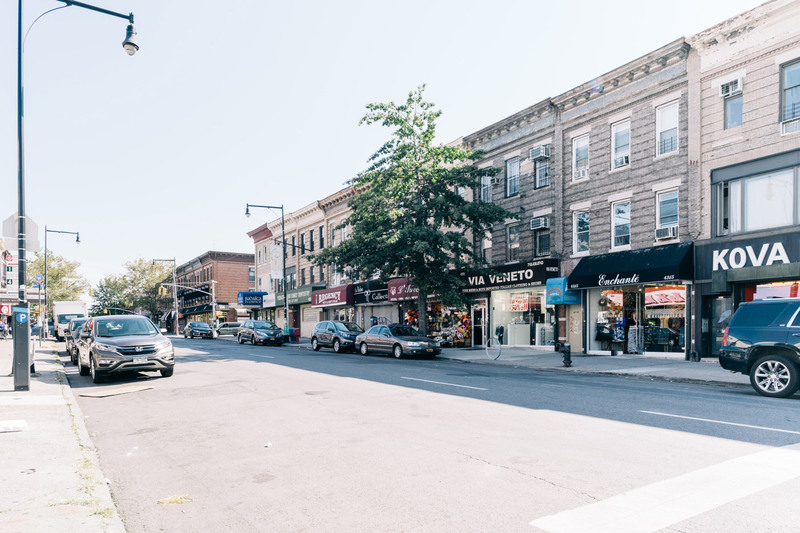 Today's Borough Park offers a blend of cultures, visible in its festivals, shops, and restaurants. Many street and shop signs are printed in multiple languages, including English, Hebrew, Yiddish and Russian. Steakhouses, pizzerias, and bagel shops line Borough Park's main avenues. There's a wide variety of kosher dining options, along with schnitzel bars, Chinese restaurants and Mexican eateries. For fine dining, Orchidea offers the full white-gloved service experience. The menu is diverse, ranging from sushi rolls to Italian pasta dishes and seafood specialties. The Loft Steakhouse dishes up prime grilled rib-eye and pepper-crusted fillet steak, all in a stylish ambience. Exposed brick, metallic lanterns, and a glass waterfall wall feel more Midtown Manhattan than residential Brooklyn, making this a popular destination for special occasions. For tempting Asian cuisine, locals visit elegant China Glatt. A rainbow of sushi rolls and classic Chinese dim sum is available at this upscale restaurant, served on starched white linens. Korn's Bakery is a local institution. This kosher establishment's reputation rests on its cheese danishes, apple turnovers and challah bread. Those wishing to learn more about Biblical-era artefacts can visit the neighborhood's Living Torah Museum. Sumerian cuneiform tablets, an ancient wooden stylus, and Bronze Age drinking cups are just a few of the artifacts on display. Gravesend Park sits on the edge of Borough Park bordering 18th Avenue. This well-tended Brooklyn Park offers residents fitness equipment, playgrounds, basketball courts, baseball fields and a new hockey rink. The Dome Playground is another area for recreation. Spray showers, benches, a drinking fountain, handball courts, and timber-form play equipment draw visitors of all ages. Leafy trees like red and English oaks, Zumi crabapple, thornless, cherry, and honey locust provide a varied botanical backdrop to this tranquil play area. Borough Park's 13th and 16th Avenues are charmingly old world, with shoe cobblers, handmade furniture shops, and cluttered electronics shops sitting next to one another. Some of the most eclectic discount shopping in the city is here, whether it's men's and ladies' fashion boutiques or hat and wig shops. Eichlers Judaica superstore stocks children's books and toys, music and religious garments. There's also a smattering of chain stores and conveniences, like Rite Aid and Duane Reade pharmacies. Borough Park Library on 43rd Street and 13th Ave. originated in 1904, when it was housed in a small chapel before moving to the present-day location in 1955. With special collections and a calendar of public events and programs, it's a hub of activity for the community. Programs like lecture series, children's events and adult groups fill the library. This branch has one of Brooklyn's highest circulation rates and buzzes night and day.